IRON AGE, 9TH-5TH CENTURY B.C. 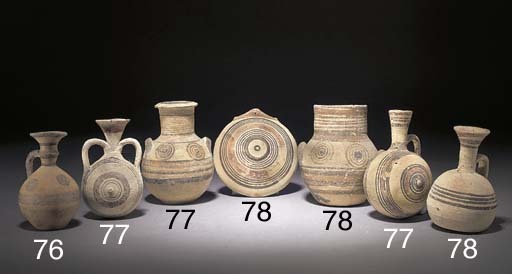 The Art of Ancient Cyprus, p. 68, pl. 105b (item one) and p. 58, pl. 72b/d (items two and three).